Here are five gifts for the travellers in your life – from the corporate traveller to the happy camper. Or indulge yourself and make your travelling life a little easier! Laptops, mobile phones, tablets, Kindles and cameras – whether travelling for business or pleasure, we all seem to travel with multiple power-hungry devices. Yet often there is only one power point in our accommodation – and sometimes that’s only after unplugging the bedside lamp or bar fridge. 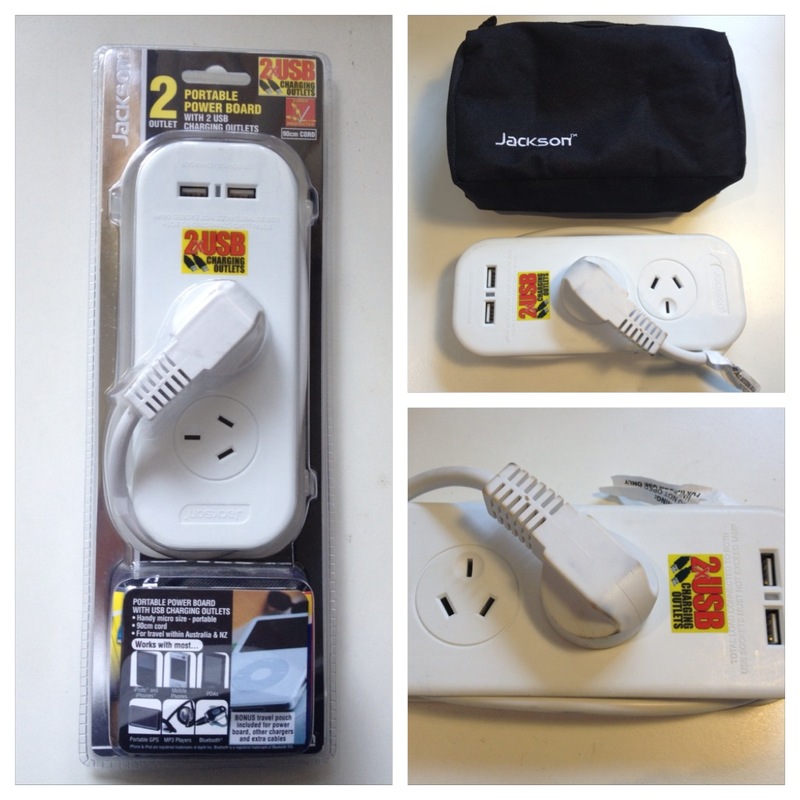 That’s why this portable power board from Jackson has become a permanent part of my travel kit. Designed with travel in mind, the 90cm cord wraps neatly around the board and is secured with a toggle, while the plug fits into one of the sockets. 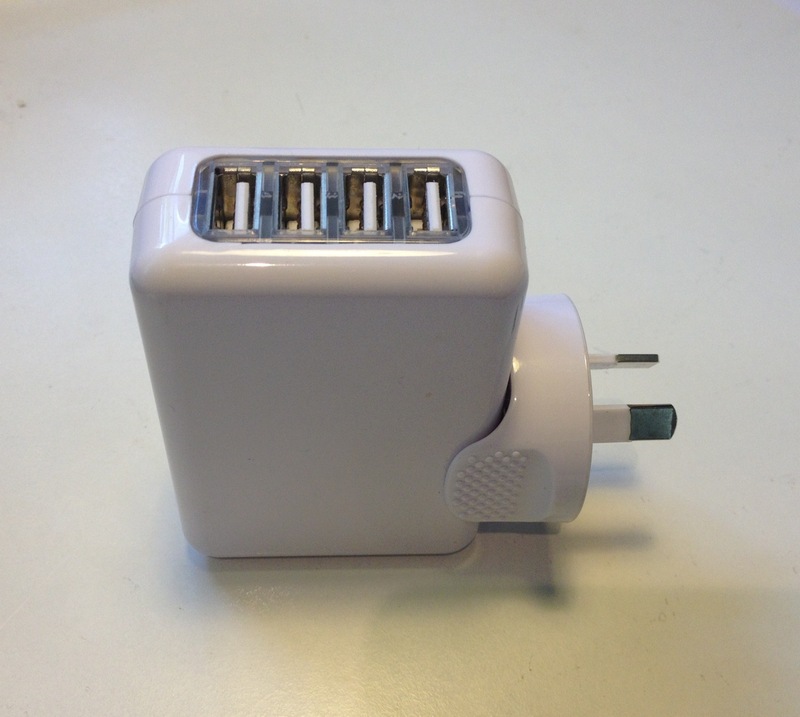 With two sockets and two USB outlets it multiples your charging ability by four (or more if you combine it with the plug mentioned below). Best of all, it fits neatly into its own travel pouch (with room for the below-mentioned multiple USB hub, universal travel adapter and sundry USB cords). I bought mine from tech2go, a great little shop at Gold Coast airport (connected to the Smiggle store). Jackson doesn’t sell directly online, but they link to retail and online outlets like Global Travel Products. Just look for the pack with the bonus travel pouch. With multiple devices charged by USB (I currently travel with five) even the Jackson portable power board isn’t enough. That’s why I’m also in love with my 4 x USB plug. I bought mine at a popup outlet with the Australian/New Zealand plug attached, but you can buy one from KORJO with interchangeable worldwide fittings. I hardly ever sleep soundly on flights (unless I’ve scored and upgrade to a business class flatbed or win the economy lottery of no adjacent passengers and can stretch out across several seats). I’ve tried using eye masks before, but have always found them too uncomfortable. That was until a friend gave me the Good Night Sleep Mask, by Magellan’s. 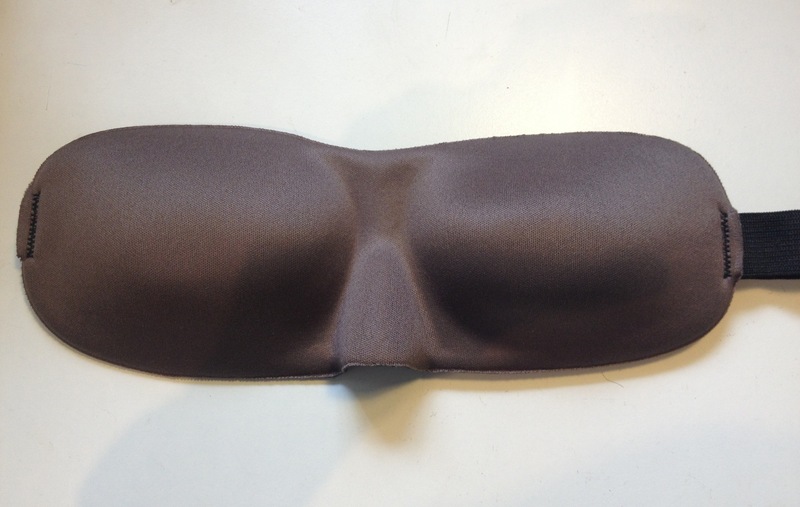 The contoured shape is designed to block out even the slightest hint of light and, most importantly, allow Rapid Eye Movement (REM), the most crucial part of the sleep cycle. The elastic strap adjusts easily with Velcro for a comfortable fit and the padded fabric is so soft on the skin you hardly know you’re wearing it – and you don’t wake up with ‘mask face’. The first time I used this mask I had the longest sleep I’ve ever had while sitting upright. I even slept through the meal service! Buy online at Magellan’s. 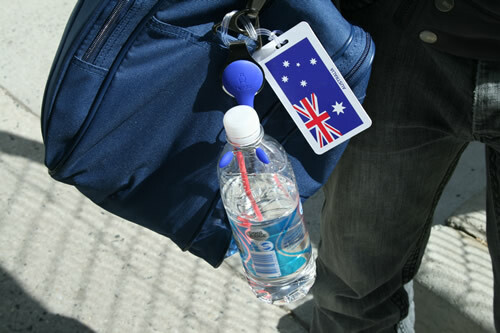 Sick of my water bottle falling out of the net pockets on the outside of my backpack, I’m enamoured by this little Australian designed gadget. 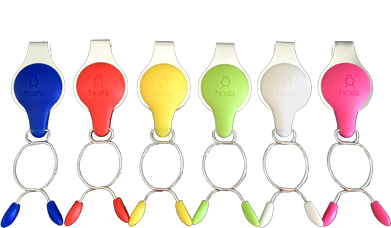 Called the Hipsta, it slips easily onto your waistband, handbag, backpack or airline seat pocket and firmly grips your water bottle around the neck. Just squeeze the silicon-coated thumb ends to quickly release or insert the bottle. It comes in a range of cool colours and is extremely lightweight, which is a bonus when travelling. But you can use anywhere – slipped over seat pockets in the car, over lifelines on a yacht or attached to a pushchair. Look out for the funky hipsta stands at an event near you or buy online. These battery-operated lamps add stylish sophistication to any campsite, caravan or boat (or even the backyard). Their curvaceous outline and durable silver-satin finish will be the envy of your travelling companions. Their wide base means they are very stable and the mushroom design directs the light downwards rather than into your eyes – perfect for lighting canapés on the beach, dinner on the folding table or as a nightlight in the tent. 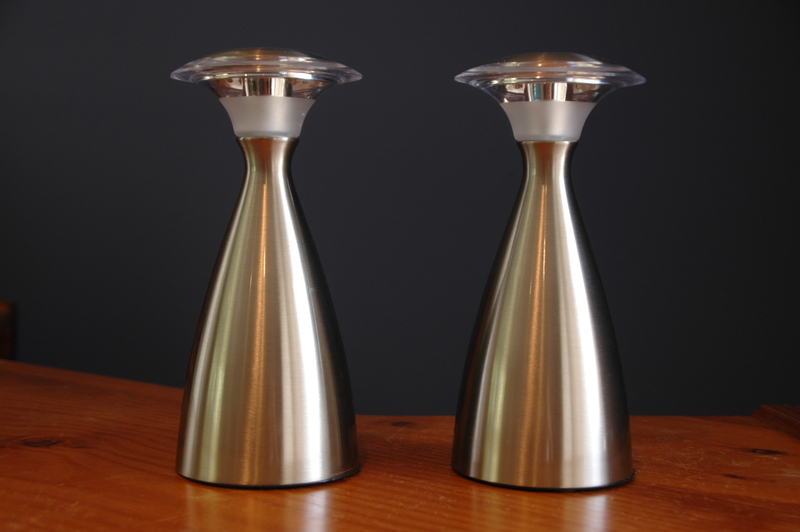 They have three light settings, which are cycled through by touching the top of the lamp. Powered by three AA batteries, which are included, they come in a twin pack from Bunnings. I can’t find these lamps online, so here is a picture of what to look for in the lighting section of your local Bunnings. For more gift ideas for boaties, see the December issue of Cruising Helmsman magazine. I’d love to hear what your favourite travelling accessories are. Just let me know via the comments below. This entry was posted in Travel, Travel Accessories & Gadgets and tagged boating, camping, caravans, travel accessories, Travel gadgets. Bookmark the permalink. DO you happen to know if tech2go sells micro or nano prepaid sims? Hi Kiva, Sorry for the slow reply. I just rang Tech2Go for you and yes, they do sell prepaid micro and nano SIMS. 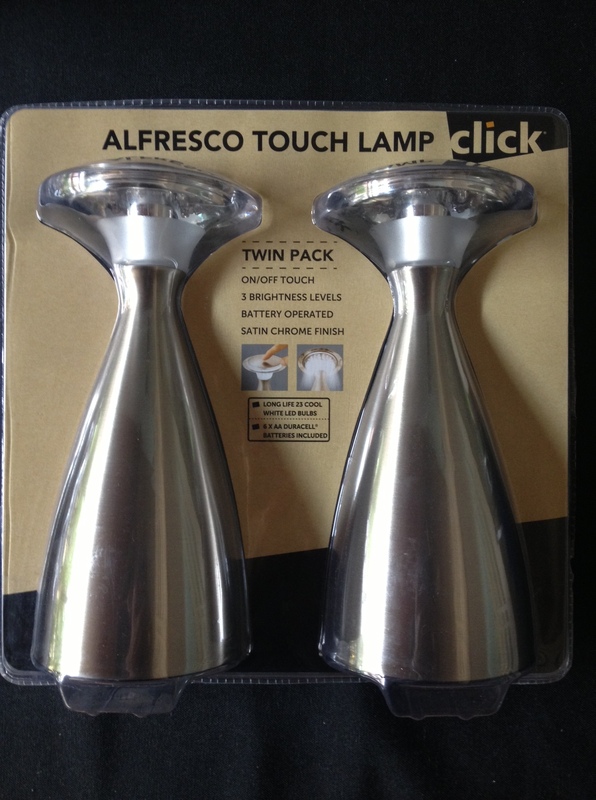 Can you buy the Alfresco Twin Touch Lamps on line ? As they don’t have them at Bunnings. Thanks for contacting me. That’s a shame they don’t have them at your Bunnings. I’ll have a look at my local Bunnings next time I go. I have found this Amazon link though, and it says they ship to Australia. Hope this helps.